In every large American city, it’s easy to find the top tourist attractions. But to get the true texture of a city, you may need to do a little digging. In the case of Portland, a little extra effort researching neighborhoods will lead you to a tiny, trendy slice of the city known as Mississippi Avenue. 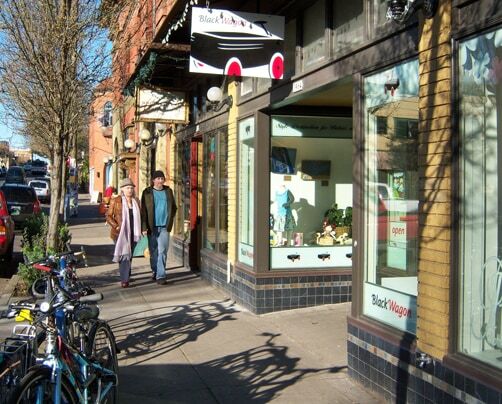 Complete with yummy eats and fun shops, this pedestrian-friendly arterial is a great location for a perfect day. Start your journey through this inner-city hot spot with a hearty breakfast at Gravy. 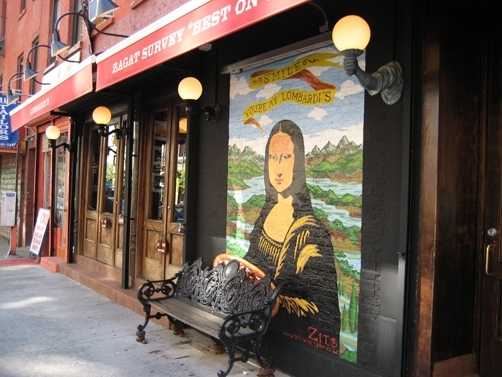 Known for its scrumptious comfort food like their popular fried egg sandwich. This satisfying creation is complete with sweet peppers, garlic and beautifully-melted provolone cheese and a fruit cup. Gravy’s menu also features scrambles and omelets. Corned beef hash and eggs are a neighborhood favorite. As you head out of Gravy, turn right and start exploring. First stop is North Portland Bikeworks. This rustic shop features new and used bicycles. There are accessories of all types: bike bells, seats and helmets are for sale. A few steps away, notice the charming Land Gallery and Retail Space. This friendly shop has a wide selection of artist-created products. Buy bumper stickers, browse children’s books by Northwest authors and be sure to check to see what art show is currently upstairs. Regional art work is featured at Land. An example of Murphy’s Law is when all of your light bulbs burn out at the same time. If you need to replace a bulb, try one of the quirkiest shops on the avenue. The first thing you see at Sunlan Lighting is a window full of vintage light bulbs; just about every color and variety can be found. Inside, you’ll almost get dizzy seeing rows upon rows of bulbs. If you need help, just ask Kay Newell, “The Light Bulb Lady.” She’s also quite an expert on Mississippi Avenue. Ask her for a history lesson on the community. She won’t be shy to share. After Sunlan, cross North Failing Street and plan your next garden at Pistils Nursery. You may run into an asparagus fern or a peperomia plant. In the back of the nursery, you can make friends with some chickens. Yes, they roam freely around the golden elderberry plants and the wine grapes. Homegrown products are featured at this lively nursery. Next, if you’re in the mood for smoked salt, infused sea salt, curing salt, or finishing salt, try The Meadow. This fun shop is also a dream come true for chocolate lovers. Around 300 different chocolate bars are featured. The Meadow sells wines from Oregon and France and is a full-service florist. If your youngsters are joining you on this perfect Mississippi day, drop by Bridge City Comics. Not only can you find Batman and Superman (yes, they still exist) comics, but there are more exotic titles, such as “Fall of the Hulks.” Bridge City sells T-shirts and offers a section devoted to Portland-based artists and writers. This may be a great time for a quick energy boost. Visit Muddy’s Coffee House. You’ll have to climb a few steps to this beautiful converted old house, but the effort will be well worth it. Try a creamy mocha Shimmy Shake. Muddy’s breakfast menu includes Green Eggs ‘N Ham. For lunch, dig into a B.M.T. (Basil, mozzarella and tomato) sandwich. As you’re heading up the other side of the avenue, drop by Gumbo Gifts and Gallery and find a wide assortment of arts and crafts, including funky items, such as frog leg key chains, good karma flags and sea shells. Local artwork is featured and you can find prints of world and Northwest landmarks. Your kids will want to spend all day at Mississippi Tree House, located in the Tupelo Alley courtyard. Find locally handmade gifts, bedding and clothing. For the budding artist in your family, there are drawing pads and poster accessories. For that retro feel, buy your child some wooden toys. After you satisfy your kids’ needs, you’ll be approaching Mississippi’s version of “Antique Row.” At Flutter, examine an impressive collection of vintage clothing, antiques, locally-made jewelry and new-line perfumes. At Porch Light Antiques, you’ll go down memory lane by noticing ancient-looking 45 rpm records, old beer cans and a kitchen flour sifter your grandmother might have used. In the back room, there’s a fine collection of hats. Next door, at Bella Norte Antique Furniture and Decor, glassware, kitchen supplies, picture frames, a traditional hutch and old cameras are for sale. Remember the old Kodak Brownie Hawkeye camera? Wrap up your perfect Mississippi Avenue trek by sampling some treats at Por Que No? Taqueria. Inside, you’ll find a tiny, intimate seating area, but plenty of outdoor seats are available. This eatery features flavors from the Pacific Coast of Mexico to the mountains of Oaxaca. Sample savory Carnitas, delicious shredded, braised Carlton Farms pork, served with salsa verde, onions, cilantro and queso fresco from Ochoa cheese in Eugene. Beers (Mexican and domestic), margaritas, soft drinks and non-alcoholic choices are offered. If, after your perfect day, you think you’ve missed a Mississippi hot spot or two, go back and visit Kay Newell. If she can’t lead you in the right direction, you may be out of luck!